In the Affordable Care Act environment, healthcare providers have a real opportunity to transform the way they treat people. The objective? Delivering a better patient experience, with improved results, at lower costs. The key to this transformation is digital health technology. For patients, digital health solutions include everything from Web portals to body sensors and apps—everything people need to better monitor their own condition and get support between physician visits. On the provider side, mobile platforms such as smartphones and tablets are becoming ubiquitous in doctor’s offices and hospitals, as a means to standardize care protocols, improve the flow of information, and ease the implementation of electronic health records. In the aggregate, this shift to digital will allow all of the players in the healthcare value chain—payors, providers, and even pharmaceutical companies—to streamline their operations and improve business performance. 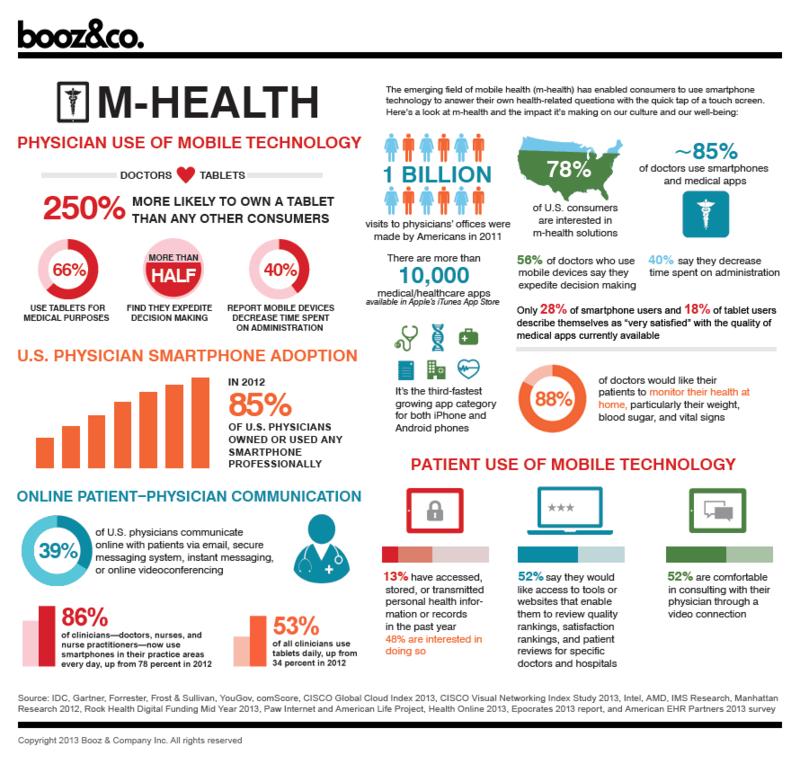 Although the digital health market is still evolving, the infographic below shows the wide range of activity thus far.